I'm going to talk more about why I want to start this whole section on my blog. I have been busy with life and have not been doing much about my make-up/ style/ fashion/ size. To my horror, my weight grew so much --- I could hardly imagine, before. because food affects our size (for girls) and affects our overall health (for guys). and make wise decisions on what to eat. 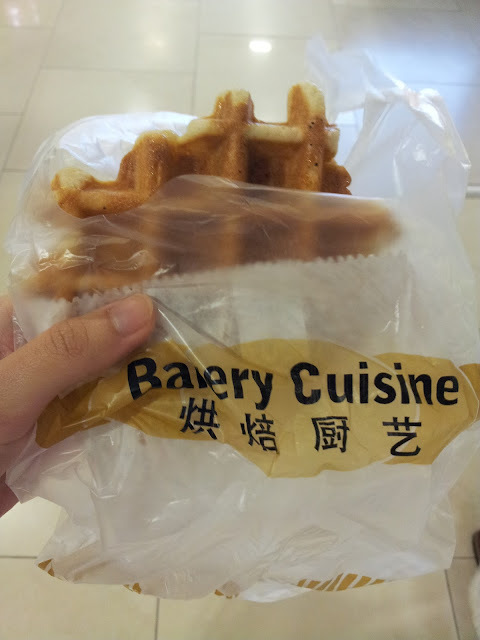 I spotted a few cafes and bakeries offering "Chewy Waffles" other than those normal ones. I bought one to try and to my surprise, they really had a "chewy" texture and tastes really good. I believe that they have used a special recipe to create this "special" waffle, and I decided to go on Google to find out more about it. 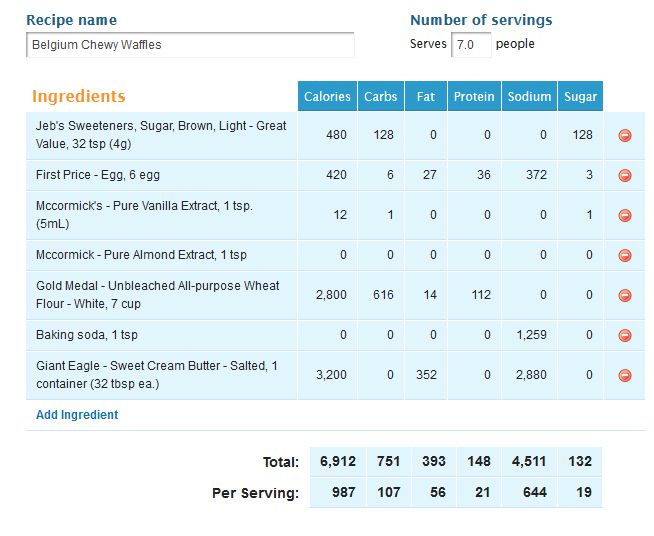 I wasn't able to find the calories for such "special waffles" so I tried to work them out by adding up the ingredients in the recipe given online to determine what is the total calories hidden in this soft and chewy snack. What I found, is that these Chewy Belgium Waffles are also called the Gaulettes/Gullets. that amounts up to a McDonald's Meal. *It may be seemingly harmless, but beware, it bites. **Disclaimer: I barely followed the recipe given online to calculate this, the calories might vary depending on the various recipes used. The moral of the story, do not eat what you do not know it contains. This is the scariest amount of calories you can consume as snack. A normal sedentary lifestyle would roughly need only 1,400-1,600 (kilo) calories a day. In order to lose weight, we need to consume 1,200 or slightly less. These waffles are diet wreckers, so you need to carefully plan out your meals in order to indulge in something like this. You may also want to share the waffle with your friend so each of you only take in half the calories stated above.